CCNG's brief overview of the partnership program benefits covering the four marketing channels to increase partner awareness, messaging and content for the contact center and customer care industry. 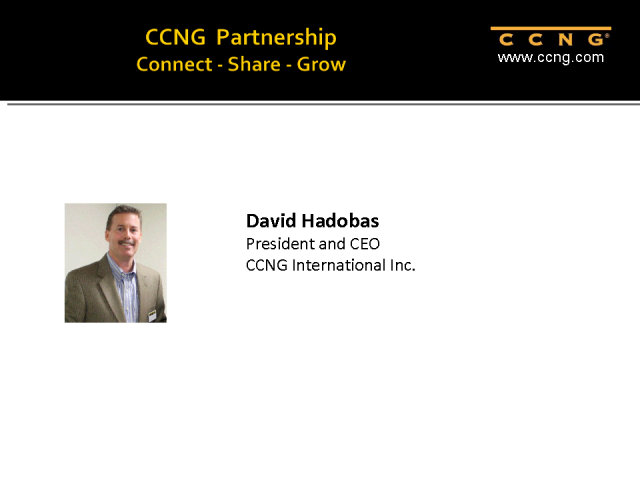 David Hadobas, President and CEO, CCNG International Inc. Presented by: David Hadobas, President and CEO, CCNG International Inc.